Introduction: Image Information Systems. A Conceptual Framework. Two Examples of Image Information Retrieval and Spatial Reasoning. Organization of the Book. Part I: Basic Theory with Applications to Image Information Retrieval: Image Data Structures: Introduction. The Object Data Structure. Run-Length Code. Other Spatial Data Structures. Characteristic Attributes. The (-tree Structure. 2D Strings: 2D String Representation of Symbolic Pictures. Picture Reconstruction Froma 2D String. Picture Matching by 2D String Matching. Iconic Indexing. Characterization of Ambiguous Pictures. Summary. Generalized 2D Strings: Variable-sized Grids. Image Segmentation by Cutting Lines. Definition of Generalized 2D String. The EmptySpace Object. Projection Types. A Taxonomy of 2D and 3D Strings. Local Operators and Spatial Relations: Extensions of the Original Operator Set. Further Extensions to the Operator Set. The Sparse Cutting Mechanism (Lee and Hsu). Polar and ConcentricCuttings. Orthogonal Relations. Partly Related Methods. Applications to Image Information Retrieval: Image Database Queries. An Intelligent Image Database System. (Chang et al.) Similarity Retrieval. CAD Database (Hildebrandt and Tang). Geographical Information Systems (GIS) (Sun). Retrieval of Similar Chinese Characters (Chang and Lin). 3D Image Database Querying (Del Bimbo et al.) Medical Image Database System (Kostomanolakis, et al.) Part II: Advanced Theory with Applications to Spatial Reasoning: An Image Algebra: Background. Basic Global Operators and the Partition Technique. The Empty Space Object. Laws of the Generalized Empty Space. Object Manipulation Rules. Unification. Overlapping Objects. Operator Precedence. Remarks.Transformations: Hierarchies. Generalized 2D Strings and Local Operators. Transformations of Algebraic Expressions into a Tile Graph. Rotations. Interval Projections to Achieve Rotation Invariance. Compacting Algebraic Expressions. Generalized Symbolic Projection: Generalized Projection. Line Segment Relations. Directions. Distances. Path Projection. Polar Projection. Transformations Between the Qualitative Systems. Spatial Reasoning and Applications: Introduction to Qualitative SpatialReasoning. Other Reasoning Approaches. Symbolic Projection Applied to Route Planning (Holmes and Jungert). Part III: Active Image Information Systems: Visual Queries: Representation of the Information Space. Strategies for Visual Reasoning.Visual Query Systems for Image Databases. Taxonomy of Visual Querying Paradigms. Database Interaction Techniques. An Experimental Multiparadigmatic Visual Interface. Conclusion. Active Indexing: Introduction. The Index Cell. The Active Index System.Active Index for Smart Images. Reversible Index for Feature-Based Indexing. Applying Active Indexing and Spatial Reasoning to Disaster Management. Active Index for Image Information Systems. Extensions to Higher Dimensions: Iconic Indexing for 3D Scenes (Costagolia et al). 3D Strings for Binary Pictures. Image Sequence Compression (Arndt and Chang). Spatiotemporal Indexing (Del Bimbo and Vicario). The (-tree Spatial Data Model: The Basic Principles. The General View. A Compact Model. Operations. Projecting (R onto 2D Planes. Spatial Query Models. Concluding Remarks. A Survey of Image Information Systems and Future Directions: Indexing and Data Structures. A Survey of Image Information Systems. Data Models. Conclusion. Bibliography. Subject Index. Information systems with an abundance of graphics data are growing rapidly due to advances in data storage technology, the development of multimedia communications across networks, and the fact that parallel computers are leading to faster image processing systems. 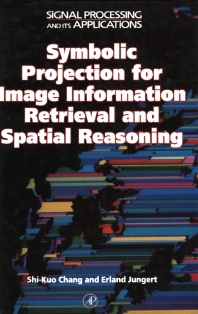 This book addresses image information retrieval and spatial reasoning using an approach called Symbolic Projection, which supports descriptions of the image content on the basis of the spatial relationships between the pictorial objects. Image information systems have a wide variety of applications, including information retrieval on the World Wide Web, medical pictorial archiving, computer-aided design, robotics, and geographical information systems, and this book is comprehensively illustrated with examples from these areas. Symbolic Projection now forms the basis of an enormous number and range of information retrieval algorithms, and also supports query-by-picture and qualitative spatial reasoning. Both authors are international experts in the field, and the book will serve as an excellent source for those working in multimedia systems and image information systems who wish to find out more about this exciting area.